Colleen Mulholland brings over 27 years of experience in leadership and organization development for not-for-profit and charitable organizations locally, provincially and nationally to her current role as President & CEO of Burlington Foundation. 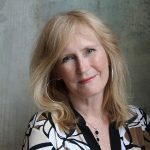 Prior to joining the Foundation in November 2011, Colleen held senior executive positions with the Canadian Diabetes Association, as well as with the Ontario Chamber of Commerce and the Ontario Centres of Excellence. Under Colleen’s leadership, Burlington Foundation has more than doubled their assets under management from $5 million in 2011 to over $12.3 million in 2018. In 2014, Colleen and her team successfully led and managed the Burlington Flood Disaster Relief Program on behalf of the City of Burlington, a critical response to a record rainfall of 191 mm in just eight hours that caused significant flooding and damage in parts of the city. Roads, highways and more than 3,000 homes were flooded. The 12-month program approved 272 claims totaling $2.7 million to help individuals and families rebuild and recover from the August 4th flood. Colleen is an active member of her community volunteering her time and expertise in support of numerous community initiatives. In 2017, Colleen was appointed to the Board of Directors of the Ontario Trillium Foundation, an agency of the Government of Ontario and one of Canada’s largest granting foundations. Colleen also provides her expertise as a member of the Governance & Policy Committee of the Board. With a strong commitment to life-long learning, Colleen has completed several executive educational programs including the Queen’s Executive Program and the CommunityShift Executive Program in Not-for-Profit Leadership at the Ivey Business School at Western University. Colleen and her family strongly believe in the importance of people working together to support those most in need, and to build a sustainable and healthy future for the communities in which we live, work and play.